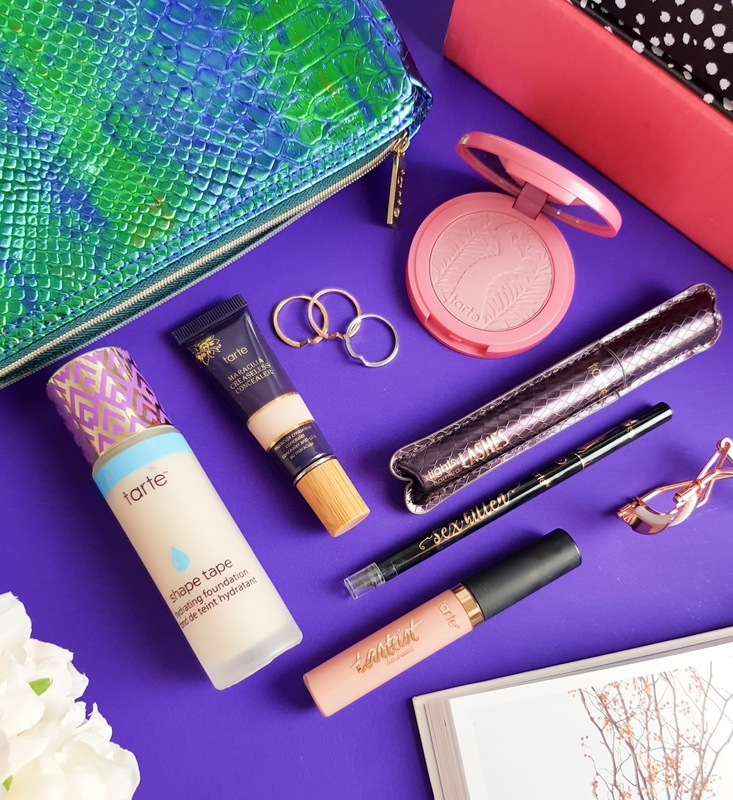 As with all of the Superdrug own brand products, this range is 100% cruelty free, suitable for vegetarians as well as being super affordable. Now, I'll admit that I'm a firm friend of the humble avocado, I love nothing better than smooshing it all over a bitta toast for my breakfast, but I don't think I've come across many beauty products in my time with the good green stuff in and I was intrigued to see how the products would perform for the price. 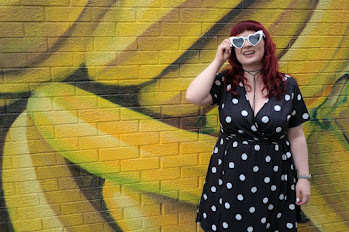 As I'm a bright-haired lady, I usually opt for a hair-care range designed specifically to help coloured or damaged hair and usually those products go hand in hand with a girly, sweet scent. I wash my hair every two days and hope for a bit of volume to appear from the hair gods but usually have to resort to styling products for that. 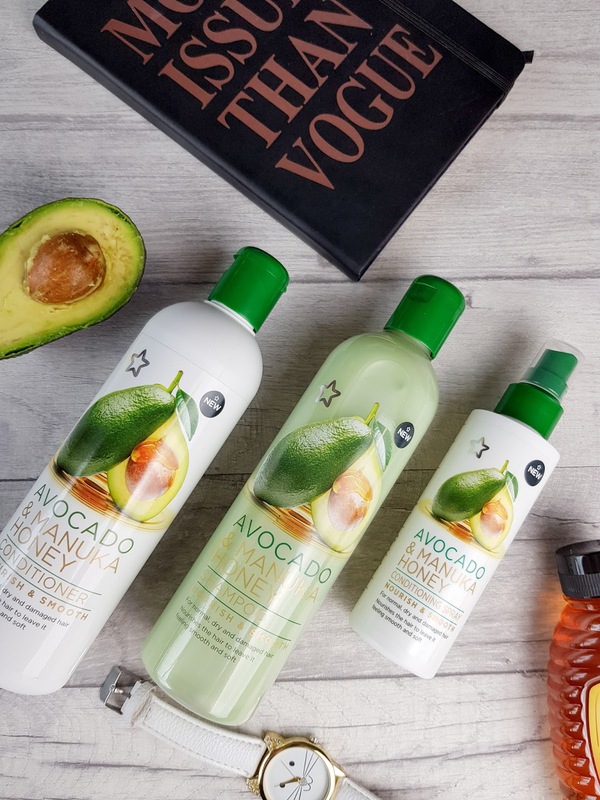 This latest range from Superdrug consists of three products; Avocado and Manuka Honey Shampoo and Conditioner, both a generous 400mls and a Nourish & Smooth Avocado and Manuka Honey Conditioning Spray 150mls, all priced at just £3.99 each (but currently on offer - whoop). It's designed for use on normal, dry and damaged hair. "Nourishes the hair to leave it feeling smooth and soft"
Aimed to deeply cleanse and nourish the hair, this latest addition to my bathroom shelf is a well received change to my haircare routine. The shampoo is quite a thick consistency and provides are really good lather on the hair but rinses out easily. On first use, the scent hit me. It's fresh, clean, lasts all day. After use, along with the conditioner, my hair feels like it's had a real deep clean without being dry as the manuka honey in the products helps to reduce frizz and leave the hair silky soft. Sometimes when I'm refreshing my hair colour I mix a small amount of my La Riche Directions hair dye in with some hair conditioner and keep it on for about 20mins and since I've been using this conditioner, the shine from my hair has been amazing. The conditioning spray is the star of this collection though. For £3.99 this product is outstanding in my eyes. Not only is this a deep conditioning spray that smells like it was made by the gods themselves and keeps my thin hair tangle-free, this product also acts as a heat protection spray and I adore multi-purpose products. It's amazing for smoothing the ends of the hair and generally just making me look a bit more put-together on the whole. When I use this conditioning spray, I feel like I'm winning at life. And still, after a few weeks find myself swooshing my hair back and forth and giving it a good whiff. Could you be tempted to try this new range by Superdrug? *Post contains PR sample, all opinions are my own.